scattered around the park enjoying the rides and burgers. The Band was most disappointed when, for some reason Malcolm failed to get to get a repeat booking the following year. In the early 1980s Malcolm and a few others from Newark Band wanted to contest and joined with like minded members of North Hykeham Band in Lincolnshire. They met and formed Foss Dyke Band: a cheesy play on names but a real place in Lincolnshire. Malcolm played first baritone and at their second contest they gained 2nd place playing Suite Gothique. They were on a roll and Malcolm is pleased that both bands are still going strong. 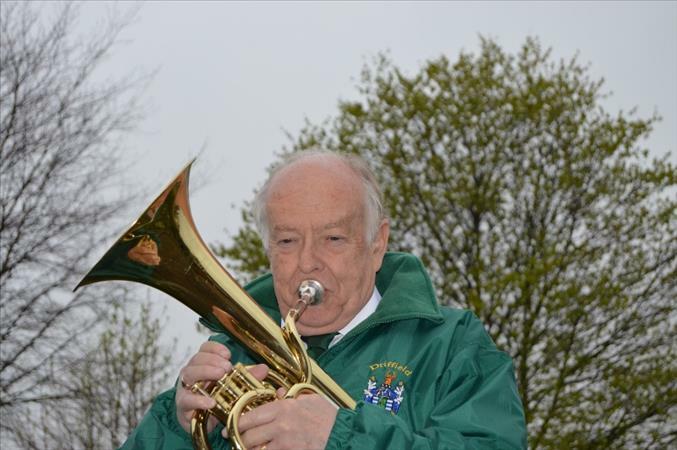 On moving to Yorkshire, Malcolm joined Beverley Band before moving to Driffield Band where he found them to be most friendly, as they still are. He feels honoured to have known the former players, some who have sadly now passed away. Due to other commitments Malcolm stopped playing around 2002 and then following an illness and major operation Malcolm was unable to consider playing again --- but in 2014 he felt a lot better and decided to start again, at the beginning (for the third time still confused and perplexed ) He asked the Dr- ( and it was like a Tommy Cooper sketch Dr Dr it hurts when I do this! well don't do it then) but seriously he gave it the OK so here he is back with us. Malcolm and Edith are proud of their daughters, Andrea and Julia. Both have played in Driffield Band and East Riding Youth Band. Andrea is married to Andy, the MD and she now plays with EYMS. Julia moved to Ireland but at present work and family take priority. Their grandchildren are showing promise, most know Alex on the trombone, and Eva has been learning cornet. He has no ambitions other than to be part of this great band and to give it as much commitment as possible. Jessica started playing the cornet in 2013 with the Church Lads Brigade Band in Beverley, but soon moved onto Baritone. 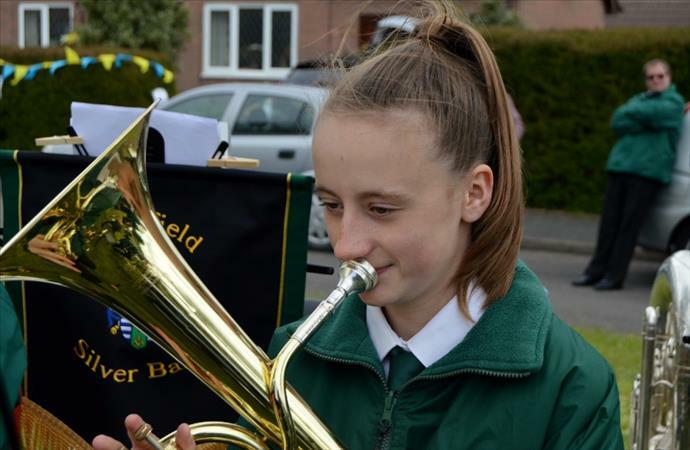 She joined the Junior Section of the East Riding Youth Brass Band in 2014, and DSB in November 2014. The baritone horn is a member of the brass instrument family. The baritone horn was created in the 19th century. 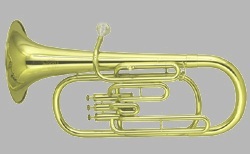 It has a predominantly cylindrical bore and uses a large mouthpiece much like those of a trombone or euphonium.